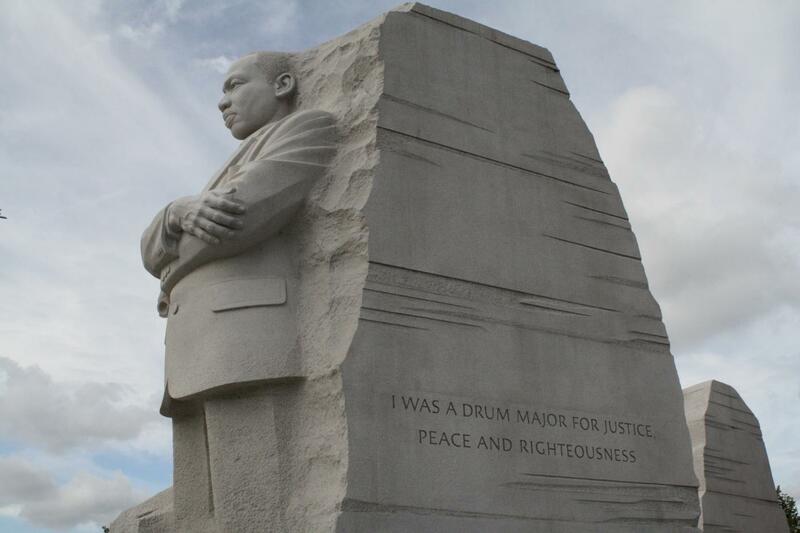 Recently I had the opportunity to visit the Martin Luther King Jr. memorial at the National Mall in Washington D.C.
Two enormous boulders welcomed me into a garden-like setting overlooking the Potomac River. Immediately, I was overcome with a sense of peace. A full body statue of Dr. King stood 30 feet-tall, carved into the side of massive granite. D. King stood tall and serene arms folded. Dr. King’s speeches, sermons, and writings were also inscribed on 450 feet long black granite Inscription Wall. The inscriptions were messages of justice, democracy, hope, and love. The experience was an extremely important moment for me. It allowed reflection on the universal themes of hope, love and justice. I encourage everyone to visit the MLK memorial. Today, with our Nation divided between the “them” and the “us”, the “blue” and “red”, the memorial was an important reminder of a higher truth. That truth being, we all strive for a voice in this democracy, and that we all want dignity and a world defined by peace not conflict. The MLK memorial provided a peaceful opportunity to reflect. It offered an opportunity to listen to the cries of our brothers. We hear the cries on the right “Make America Great Again!” and cries on the left “Fighting for Us!” There are also cries for a political revolution. However,“listening” to yearning of our brothers, even when we don’t share the same perspective remains America’s greatest challenge. Visiting the MLK memorial was powerfully uplifting.Today’s political and social climate is freighting. We must learn to live together as brothers. To listen with honest heart to our brother’s concern, especially when we don’t share the same perspective. I encourage everyone to experience the memorial. Shan Potts, Esq. Political and Cultural Contributor, Reel Urban News.